Hey guys! I am Crashingmax1. This game is kind of short but the full version will be long. If you haven't played the first part, check it out at My Games. 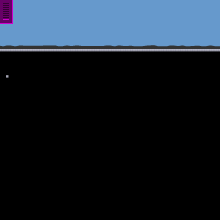 The 2nd part could have maybe been done, but I didn't make it because the Platformer Created doesn't work properly! You can't zoom in and out, or delete objects you put and put some of the stuff that should be there. I hope Geoff fixes ALL of the creaters. When part 2 is made, it will be Boosted. Also will soon be Trip Around The World! Don't miss it!